How wonderful it would be to sit down again with all these great people! For those viewers too young to remember the Martinsville General Hospital stood on the east side of Starling Avenue where the Virginia Museum of Natural History is today. 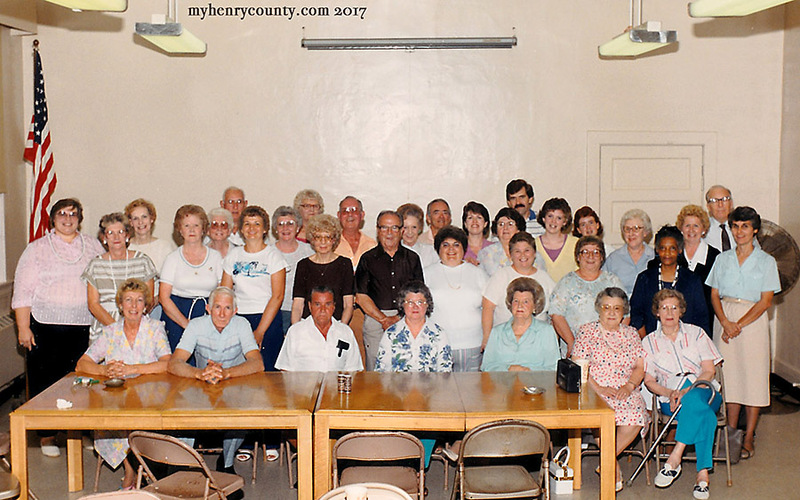 Pictured standing from left to right are: Gale Kidd, Joan Bing, Frances Price, Lorna Vipperman, Bea Martin, Leon Martin, Linda Jenkins, Zee Martin, Hazel Roberts, Mabel Akers, Herman Martin, Ryland Richardson, Bush Bradley, Barbara Nelson, Dr. John Bing, Susan Lester, Katherine Smith, Frankie Lester, JoAnne Crawford, Billie Hundley, Louise Koger, Nancy Bowles, Elizabeth Witt, Dr. Sam Adams, and Elva Adams. Seated left to right are Naomi Manning, Curtis Manning, Tommy Clark, Ray Wells, Inez Hudson, Ruth Lawing, and Emma Thomas. Spelling corrections are welcomed.